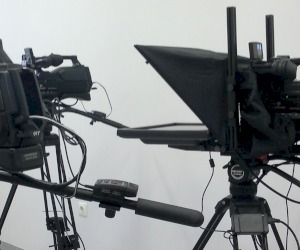 The system includes a studio with 3 Sony cameras and its capable of making outdoor video recordings. 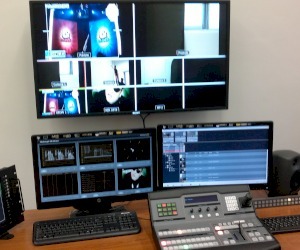 The control room includes an Atem1 from Blackmagic Design and an Editshare server with simultaneous recording and playback. For editing there are 2 stations with Final Cut working on a shared storage 8TB (Editshare). The continuity consists of an Editshare TX server and a logo generator from Crystal Vision.